Again, this year Colorindo Chemtra will join Plastic and Rubber Indonesia 2018, which will be held on 14th - 17th November 2018 in Jakarta International Expo, Kemayoran, Jakarta. This is an event for plastics, rubber, mould and die industry. 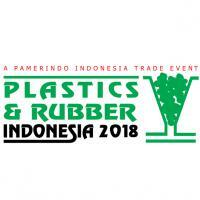 Plastic and Rubber Indonesia 2018 is now the only dedicated plastics and rubber event in Indonesia with the sole focus of serving the needs of those industries. Now in its 31st edition Plastics and Rubber Indonesia is well known and respected around industry professionals attracting key players and leaders in the plastics industry. Please kindly pay a visit to our booth (A 1230). We provide wide range of products (Plastics Additives, Pigment & Dyes, Resins,Lab Instruments, and many more) that you may need and meet our professionals team who will serve you. See you around!